Santa brought me a watercolor kit for Christmas and I'm excited at the prospect of using it...hopefully in the near future if I can get into one of Amy's classes! If I became serious enough about the hobby, I'd love to invest in one of these beautiful wooden easels, made in France no less. They retail anywhere between $350 and $500 but I found a place online that sells them for $100. Click here to view full details on the easel. Click here for a beginner watercolor tutorial. 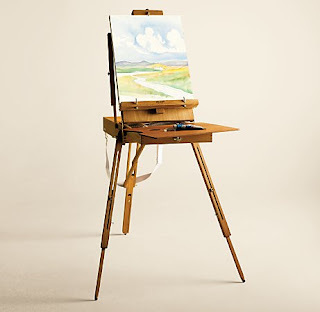 I really want one of those easels too - Right now I prop my huge clipboard up against books and some in front of it. They are old text books but still I hate to get paint or charcoal on them. I hope you get your easel! Thanks for the water color link. I've purchase many watercolors with good intentions, then I get home and have no idea what to do with them. 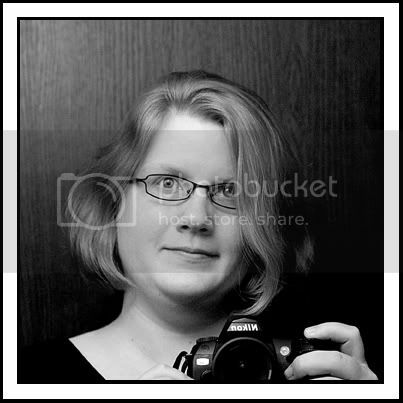 Stephanie...I'm so glad I found your blog!!! Melissa at Sugar City Journal found me and then I looked up both of you! We all have such similiar interests... I was reading older posts and things such as Olive Juice (located near to us) and well, too many to list! I added you to my favorites :) And I think you should take a watercolor class... they are actually not so forgiving but then, they are quick and good for busy moms to sneak in time for! I will watch to see if you post something you painted!